Catholic Schools Week began with superhero fun! 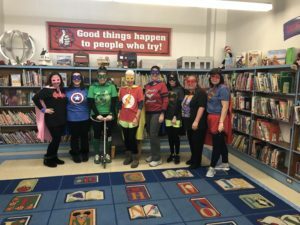 teachers and students became the superheroes of the school and had a great time!Students had written drawn and talked about the Superheroes in their lives. It was a great way to” Kick Off” the week.